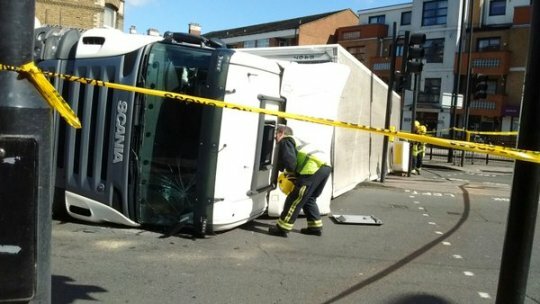 Yesterday an HGV overturned at the junction of Norwood Road and Christchurch Road, outside the Coop. The Lidl lorry crashed at about 11am and it took most of the day to move it and get traffic flowing again. The driver is apparently fine, suffering only minor injuries. As your local councillors, we have consistently campaigned for better safety at the Tulse Hill gyratory. vehicles travel too fast around the one way system and the busy roads break up the town centre. 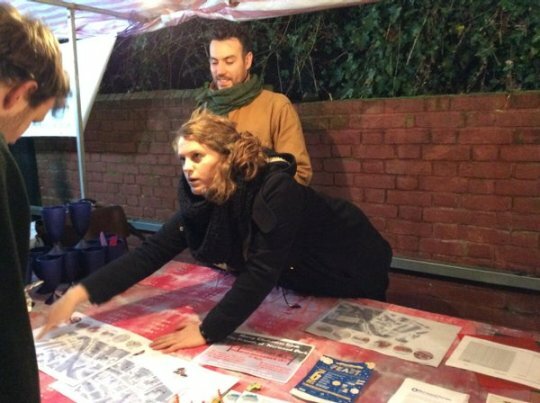 Before our election, prompted by an incident of a speeding car coming off the road and into the front room of a house, we worked with council colleagues and the community to organise a petition calling on the Mayor of London to invest in improving the space. We were successful in getting a commitment of £5million to redesign the space, and a further £2million to continue improvements the length of Norwood Road going south. The project has been a community led effort, and a huge amount of time, skills and imagination have been contributed to coming up with a design. At monthly co-design sessions, 50 plus residents have been taking part in detailed design conversations, and with our estates, schools, youth groups and community organisations we have mobilised hundreds of you to have your say and get involved in training, local procurement, walkabouts and creative projects. The consultation for the Norwood Road design will begin after the Mayoral elections in May, and work should begin by the summer. The Tulse Hill gyratory is a bigger project and will be completed by 2020. We are excited that we will soon have a safer, more pleasant town centre, and that it will reflect the ideas and aspirations of local residents. Posted on March 26, 2016 by thurlowparklabourTagged community, consultation, coopcouncilinaction, gyratory, road safety, south circular, streetworks, tulse hill.